A group of Oregon City kids were playing outside at the bottom of an embankment when they accidentally disturbed an angry beehive. As the bees swarmed, the kids fled -but 8-year-old Jesse-Cole Shraver was unable to make it back up the hill. That's when Jesse-Cole's valiant pit bull rescue Hades intervened. The dog grabbed Jesse-Cole's pant leg and pulled him to safety. "Hades saw me and came and dragged me up to the grass and stopped and let me crawl on her back and took me to my mom," Jesse-Cole told Fox 12. Jesse-Cole was stung roughly 24 times. 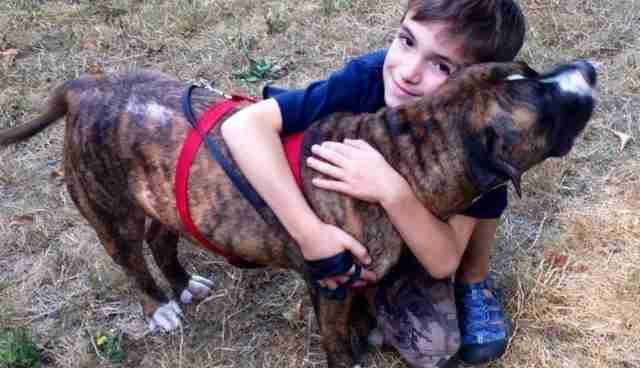 His sister, Jasmine, 14, is allergic to bees and was stung five times. Luckily, Jasmine was able to run and grab her EpiPen while a neighbor dialed 911. Both kids were released from Willamette Falls Hospital after a few hours. Jesse-Cole and Jasmine's mother is overwhelmed with gratitude for Hades' quick response time. "Oh, I thank my puppy," she told Fox 12. "I'm so glad we adopted her... A couple of these kids could have gotten really sick or died, I'm sure of it." This isn't the first time a pit bull has come between their owner and disaster. A 2-year-old male pit bull named Ace saved the life of his 13-year-old deaf owner, Nick Lamb, by waking the boy at the first sign of a house fire. "I couldn't hear anything because I had my cochlear implants off. ... Ace smelled it," Lamb told reporters. TaterTot, a pit bull who was rescued hours before she was going to be euthanized, helped save her owner's 4-year-old son from going into diabetic shock. The dog began barking and whimpering, running between mother Christi Smith and her son Peyton. Smith found that her son was barely breathing, and rushed him to the ER, where it was discovered that Peyton's blood sugar levels were at a dangerous low. Veterinarian Isis Sanchez told KSMP-TV that TaterTot's keen nose was likely able to detect the shift in Peyton's body chemistry. 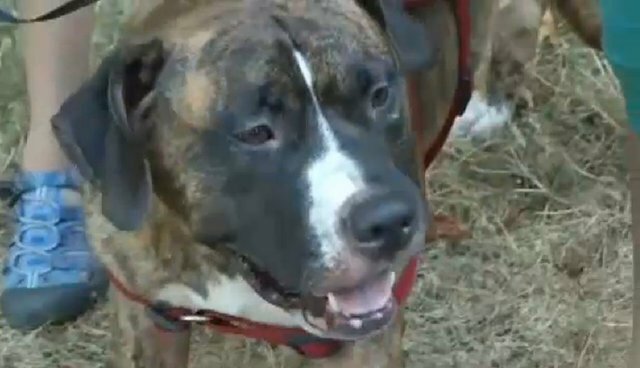 Pit bulls are strong dogs that are very attuned to threats in their environment, which is likely why they are so adept at rescuing those in peril. The bad rap against pit bulls is often unfounded, and many of these special dogs have an unbreakable bond with their owners.